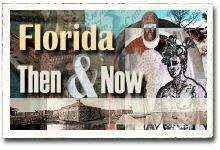 Welcome to Exploring Florida: Social Studies Resources for Students and Teachers. This website contains thousands of educational resources for use in your classroom. Thousands of multimedia resources for Florida history are available from the Resources menu options at left. Up to twenty resources may be used without additional permission in any student or teacher non-commercial educational project. (See license.) Choose from over 4,600 photos, 6,000 maps, 173 virtual reality panoramas, 1,150 stereoviews, and 11 pieces of royalty-free Florida music you can use in school projects. Florida Then and Now consists of over 70 readings, questions, teacher notes, reading strategies, and activity sheets for Florida history. The reading passages are written at the upper elementary student's instructional reading level, so they are also appropriate as independent reading passages for secondary students. All of the files are available as PDFs for easy duplication. 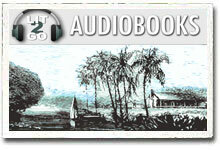 Enjoy the Florida Audiobook Collection at Lit2Go. Selections include Jack Tier, Canoemates, American Naturalist Rambles in Florida, The Flamingo Feather, At the Dry Tortugas During the War, Florida Essays and Poems, and other works set in or inspired by the Sunshine State. The Exploring Florida Science modules focus on technology-rich science content and teaching materials that allow educators to simultaneously address multiple strands in the Science standards. 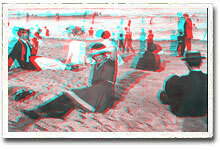 Over one thousand stereoviews are now available in the "Florida in 3D" section. Get out your red/blue 3D glasses to explore Florida's past in three dimensions right on your computer screen. Search Exploring Florida with Google. From Birds to Bungalows, or Turkeys to Turtles, for all things Florida visit the "Floripedia." Each month FCIT publishes a newsletter with short articles on teaching and learning with technology, using digital content in the classroom, and professional development for technology integration. Subscribe today! The subscription form will open in a new window. When you have subscribed, you can close the new window to return to this page. 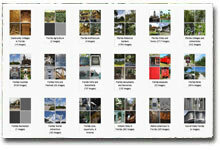 Over 9,000 photographs of Florida are also available on the ClipPix ETC website. Most of these photos are more recent than the ones in the Exploring Florida photos collection and are therefore much larger and available in multiple sizes. 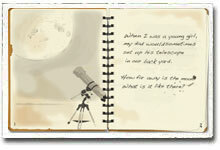 Produced by the Florida Center for Instructional Technology, College of Education, University of South Florida. ©2019.